OK, I admit it; I’ve always loved this band, and I’ll always think it’s not enough covered. But this time, I know I’m right for 2 reasons. First of all, the coverage in the specialized press was close to nothing. The second reason is that Raised By Wolves is a unique and special record. Not only should it have been more covered, it should have conquered several “album of the month” spots! I fell in love with the band when their first EP came out on I Hate Records in 2007. Trident Nor Fire contains 3 fantastic heavy/doom songs and it contains one of the coolest covers I ever heard: Rainbow Demon (originally written and performed by Uriah Heep). 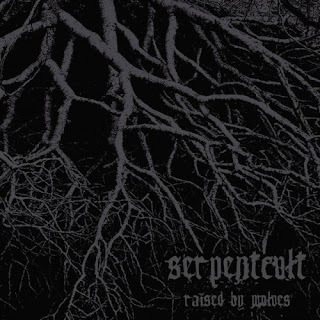 SerpentCult played that song like a ritual, really occult and dark. Very Yummy. Of course, the warm sound, the heavy guitars had a lot to do with the atmosphere, but it was also about Michelle Nocon, the singer. Her voice was like a heavy metal singer possessed by a witch. And the expected move obviously was to repeat that record with better promotion, to tour and to be a little more successful record after record. 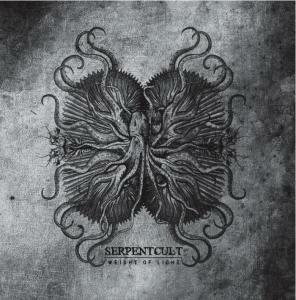 Instead of that, SerpentCult decided to change almost everything. Michelle left the band and the remaining guys decided to go on as a trio. In fact there are almost no vocals on Raised By Wolves, the new CD. And the music has changed A LOT. It’s not about traditional doom anymore, which is a smart move really, because many bands are doing that now. 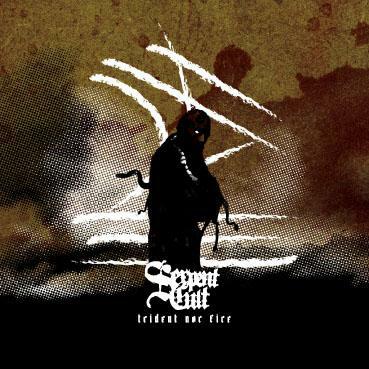 SeprentCult has taken off to some farway planet. Ther music is cosmic, repetitive (4 songs, 40 minutes) psychedelic and there are some insanely heavy riffs here and there to bring you back to earth. Would you gusy shoot me if I dare saying “progressive” as well? It is extremely difficult to describe precisely Raised By Wolves, and that may be a reason why the press did so little coverage. You have to FEEL this album to understand why I love it so much. And to feel it, you need several spins, you need to listen to it in good conditions (try to do it with headphones) and to turn off your brain. 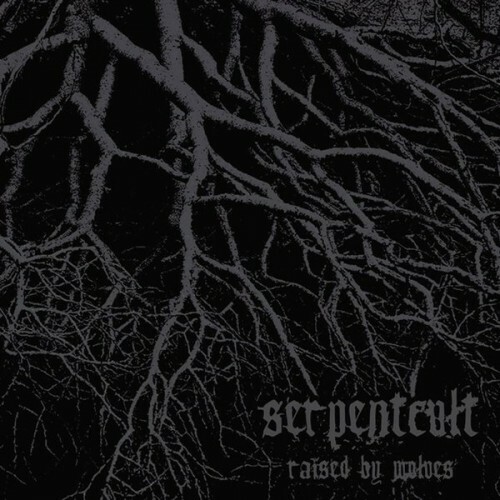 When I manage to listen to it in these conditions, it seemes obvious to me that Raised By Wolves is going to end up in my 2011 favorites. The best advice I can give you is to listen to the unbelievable second song of the album, called "Crippled And Frozen". The way these guys literally BUILD the main riff is amazing. Then that riff will bludgeon your sweet little head for almost ten minutes. Looks boring on paper, but it actually feels sooooo good.